Home News First Trax What a BEAUTIFUL DAY it is to be on the Mountain! Wow! That's some deep snow! What a BEAUTIFUL DAY it is to be on the Mountain! 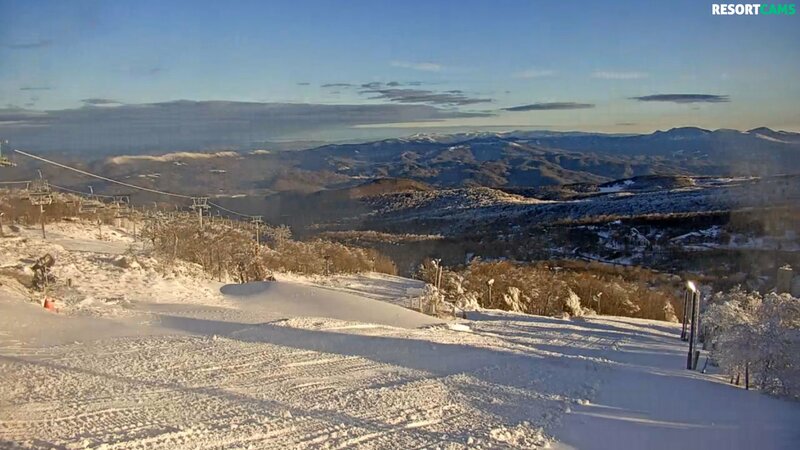 One quick scan of the webcameras and you’ll quickly see the after-effects of some natural snow, a record-breaking, November snowmaking period and gorgeous, blue skies. In a word, it is “breathtaking”. By the way, we ended up seeing 250,581 active users on the the webcam server on Wednesday, November 28th. That may be a record. A large portion of those visitors hit numerous sources on our ski/webcam network. Often, on days like this, I will have information coming to me from numerous channels and thus today I’ll be randomly sharing news as it comes to me with no rhyme or reason to the content share this morning. Remember this coming weekend (December 1 and 2) is App’s Anniversary Weekend, and in celebration of their 57th season tickets both Saturday & Sunday are only $5! This ticket is good from 9-4, and if purchased online is upgraded to an 8-hour flex ticket. Speaking of the best snowmaking night in November since the 1980s, after missing out on some primo snowmaking weather a week or so ago due to the power being out as a result of that huge ice storm – Winterplace was finally able to get their power plant restored by Appalachian Power but only AFTER that window of snowmaking was over. 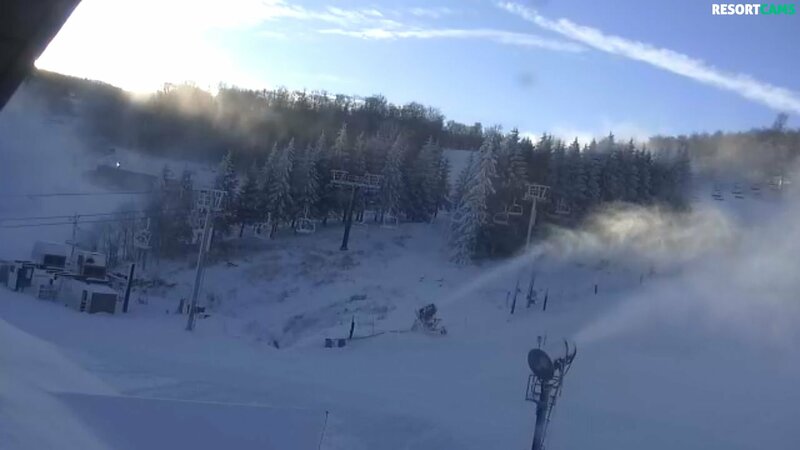 Then finally on Tuesday as the temperatures were nosediving, Winterplace’s great snowmaking crew went to work firing up their systems – bringing all of the guns and towers online. As Winterplace started the final pump, the power shut down again, this time costing Winterplace about three hours of perfect snowmaking. As it turns out, Appalachian Power wasn’t ready for what Winterplace needed in terms of power capacity. No, this is NOT Terry Pfeiffer or Tom Wagner! 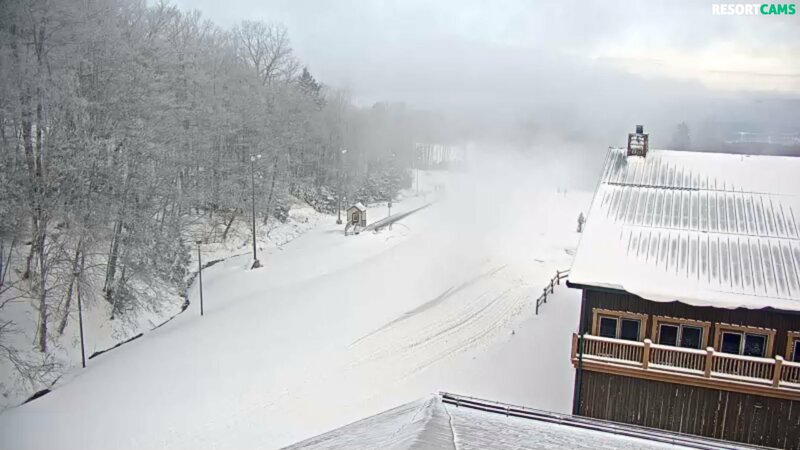 If anyone is seeing a cloud hovering over the top of Winterplace Resort, that is being created by the steam coming out of the ears of Winterplace President, Terry Pfeiffer and Tom Wagner, Executive Vice President of Winterplace Resort. Can you imagine? 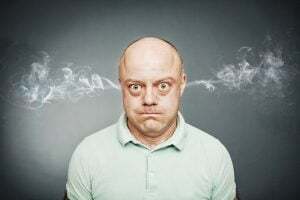 I say it often, but running a ski resort and having to deal with all of the issues that are often out of your control is much like the life of a Mississippi riverboat gambler. They added another open trail – “The Park” (which is their terrain park), however they are still only open with one double chair and not open to the top. There’s a lot of peeps talking about the new lifts and the fact that they were running and now haven’t been for a few days. I actually had a phone call last night from someone asking if we “knew anything”. The only thing that I can report is that the lifts are FULLY FUNCTIONAL. Yes, there was a blip on the first days of operation, but that happens with every new lift out there. Sugar ran into the same thing two or three times shortly after they launched their new 6-chair a couple of seasons ago. Heavy snowmaking still going on early this morning. Some people with seemingly more insight than my own, emailed me that to decide to add two lifts at the time Beech did so last season – and then to get those constructed as well and as fast as Doppelmayr did, is a tremendous feat and that some ski areas wouldn’t be ready to launch them as quickly as Beech is doing. All I know is that those bad boys are expensive and I can assure you that Ryan Costin and his crew are taking every step, precaution, and bit of training possible to provide a great “Grand Opening, Ribbon Cutting” launch on Saturday. First, they have added more open terrain now (17 trails open) and they also saw another 3″ of snowfall in the last 24 hours. That’s just under 10″ of snow in the last 48 hours and now 18″ on the season (Since Nov 1st) with 13″ of that snow coming in just the last week. I have to share a funny story…funny but true. So over the last few days, as we always monitor snow totals from official reporting stations, I have been getting our updates from the same NWS official reporting station Daily Hydrometeorological Products located on Snowshoe Mountain at 4776′ elevations. For years, they have been a great resource and always spot on to what Snowshoe reports for daily, natural snow totals, etc. 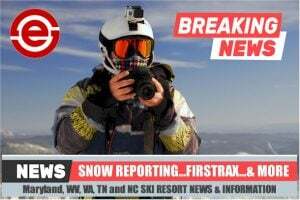 Well over the last week, those NWS reportings have only shown 6.5″ of snowfall over the last week, instead of the 10-12″ that Snowshoe is reporting. So as I always do, I looked for confirmation of those numbers through official channels. So I reached out to my buddy, Shawn Cassell on the mountain and simply shared the numbers. While he was nice about it, you could tell that he was feeling a little “dumped on” as to why I was questioning the numbers. The answer? No, Shawn, it doesn’t! Haha. While it never hurts to question conflicting data, I LOVED the response. Check this out! Bryce made snow last night starting about midnight. Unfortunately the winds kicked up overnight and the camera got blasted. Hopefully the sun will ‘melt’ that off and the public can see their efforts. Snowmaking and grooming are hard work. I have done both in the past. We don’t get to ski/board without their efforts. 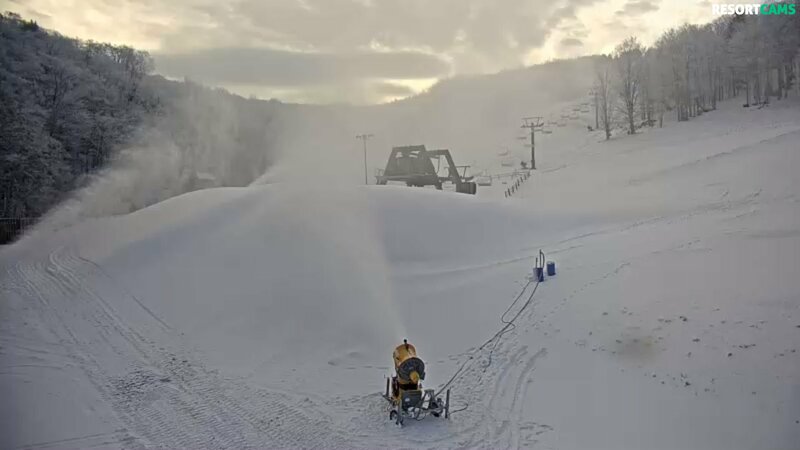 I know that Massanutten and Wintergreen are making snow as well. The ‘Nut had a little glitch in their system but I’m sure they will quickly catch up. (Early season is always a time for getting the bugs out of the system.) ‘Green has their automated system and higher elevation, so they will be hard at it as well. Homestead is not in a hurry but with their location they should be cranking soon (They get the most cold air and snow of the VA resorts.) Hopefully, a good start and a great Christmas-New Year’s Holiday stretch ahead for all. They saw another 1.6″ of snow over the last 24 hours. That takes them to 8.5″ of snow over the last 72 hours (3 days) and now to 16.4″ on the season. It has been crazy, snowy there recently. That’s an awesome sign of hoped for things to come. 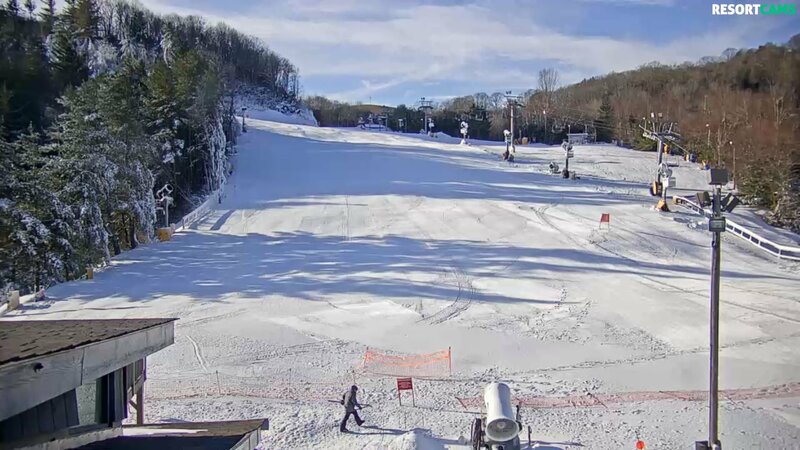 Here are two nice shots showing a lot of snow at Canaan: Click to Enlarge both! Whales of snow! They’ll no doubt be carving an “Old Man Winter” in that pile soon enough! Man I am LOVING some of the shots from the new base cam and can’t wait to see either the new cams from the lift cam area or up on Hemphill. Cat is looking pretty this morning with lots of great grooming on 7 trails from the top. Tammy updated me at 9:38am that they had added Alley Cat to their open terrain. On average, we open the Ski Slopes in early to mid December & close in early to mid March. Exact opening and closing dates for the slopes are determined by mother nature… Never the same dates from one Ski Season to the next… and usually not predictable until just days in advance. 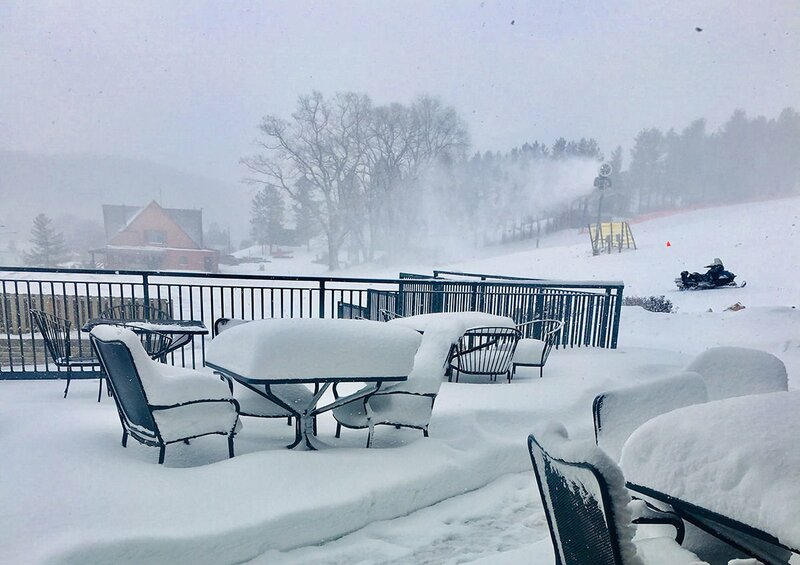 Deep Creek Lake gained several inches of natural snow accumulation over night, leaving Wisp Resort with a base of about 5 inches. The wet bulb (temperature & humidity) continues to look good for snowmaking until about mid-day Thursday. Snow is completely covered on the tubing area, Central Park, Face, Squirrel, Wisp Trail, Sunset, and the Kiddie area. 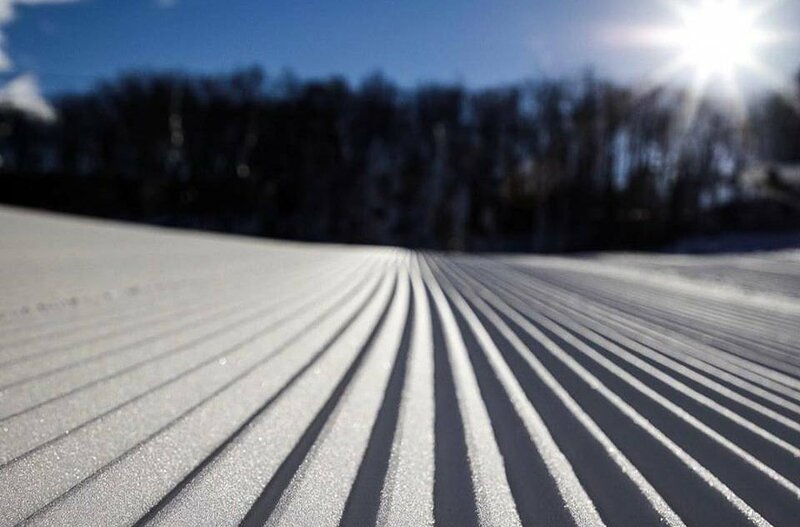 Follow us on Wisp Resort’s Facebook page and sign up for our e-club in the Header of this page to be the first to know about opening dates for skiing, boarding, snow tubing, and cross-country. We continue to build a strong base and are getting very excited for the Winter Season! The photo of the day (up top) deserves another share right here, showing all the snow at Wisp this morning. Click to Enlarge! Wow! That’s some deep snow! I have had the pleasure of hearing from eleven, snow-loving souls who have expressed interest in joining our team to provide these early-morning SNOW REPORTS and FirsTrax posts. I was in the middle of working out last night when two of them called. 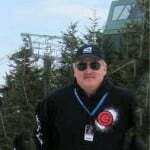 I enjoyed hearing from like-minded peeps, who just love everything about snow and the ski areas that we know and love. Two more have called me – as I am writing this post this morning – and I plan to connect with those guys today as well. So we’re getting close to finding what I hope will be a great addition and super “fit” to our team. I think the more diverse the commentary is, the better for you guys. If you’re reading this and are interested, there’s still time to connect with me.